It's impossible not to marvel at the wonder of the universe during a solar eclipse. So naturally, we all want to bear witness whenever this celestial event occurs. And depending on where you live, you may be able to do sosooner rather than later — there's one this week. So if you're like me and are dying to know how to watch the solar eclipse on March 8, I've got the 411 for you. Full disclosure: There's good news and there's bad news in regards to Tuesday's solar eclipse. On the plus side, it will be the only total solar eclipse of 2016. This means that for the only time this year, the Earth will pass through the moon's shadow, at which point the darkest part of said shadow (called the "umbra") will cover the Sun for roughly four minutes. Seriously, it's super cool stuff. On the negative side, for starters, staring directly at the Sun will basically scorch your retinas. Just don't do it, mmkay? Even if you're rocking your favorite pair of shades, looking directly into the Sun is a tragically bad idea. Space.com created a handy infographic for the precise purpose of helping you safely observe the Sun, so do your eyeballs a solid and take advantage of that info. Also in not-so-desirable news, this eclipse is super short, clocking in at just under five minutes — and not many people are located in a prime zone to actually see it in its mystic totality. 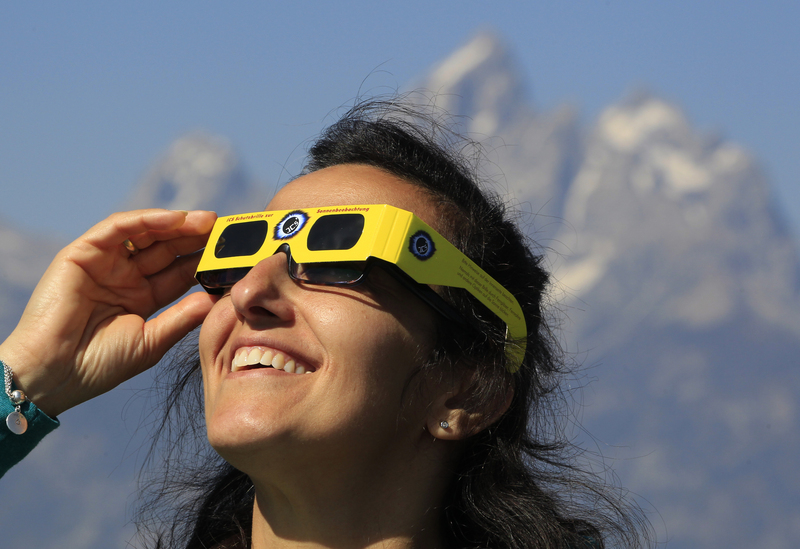 If you can't stand the thought of not being part of that exclusive club, though, here are three ways to watch March 8's solar eclipse. Sorry, mates. The total solar eclipse is out of viewing range unless you move to "parts of Sumatra, Borneo, Sulawesi and a large empty part of the Pacific Ocean," as the Sydney Observatory's Geoff Wyatt told Mashable Australia via email. But if you reside in North and Western Australia, South China, Southeast Asia, Japan, the Philippines, Hawaii, or Alaska, you could catch a partial eclipse, so at least there's that. If you are lucky enough to live in one of the ideal eclipse viewing zones, timing is everything. Because science is a wacky bag of tricks, this eclipse boasts the unusual circumstance of beginning the day after it ends. I know that sounds insane. Basically, it just means that somewhere along the eclipse track, it crosses the date line and transitions from occurring on Wednesday, March 9 to Tuesday, March 8. As Gwen Stefani would say, that ish is bananas, B-A-N-A-N-A-S. To figure out when you can actually see it, and where on the spacetime continuum your viewing experience might fall, just plug your data into the online Solar Eclipse Computer. Sadly, those of us in the continental United States won't be treated to a total solar eclipse until 2017. However, we should thank our lucky stars for modern technology, because there will be several livestreams of the event available online. NASA will be streaming the solar eclipse beginning at 8 p.m. EST on March 8. The Slooh Community Observatory will stream it via live webcast beginning at 6 p.m. EST on March 8. And you can also catch it on Space.com, once again courtesy of Slooh.